The start today (March 26, 2018) of oil futures trading in gold-backed Chinese yuan is being widely seen as a Chinese victory in the ongoing financial war for control of the planet Earth. It is also a good time to remind China that the world will NEVER swap Khazarian mafia control for Chinese mafia control. The West will be eternally grateful for the help provided by Asian secret societies in its battle to free itself from the control of the satan-worshipping Khazarian mafia. As we will point out, this battle is about to end in victory for humanity. However, the Khazarians, who should never be underestimated, are appealing to the ego of certain Chinese leaders by promising them the role of Babylonian god-king of the planet Earth. In exchange for Chinese support, many Chinese leaders are falling for this and dreaming of a Chinese dictatorship over the entire planet. China thus needs to be reminded of a few things. The first is that the West still has the power to entirely wipe China out of existence. The White Dragon Society (WDS) and its allies fought hard to defeat a faction in the West that wanted to do exactly that. Thus, instead of obliterating China, the West deliberately transferred its industrial and technical expertise in order to help China modernize and develop. That’s because it was the right thing to do, and because the West wants Asian help in a campaign to end poverty and stop environmental destruction. Also, China and other Asian countries were helped in their modernization because a deal between East and West for world peace is necessary to end the quarantine the planet earth is now under. In other words, certain Chinese radical factions need to be reminded that the end goal is to achieve a win-win solution for everybody. With that in mind, let us now look at the latest news in the ongoing battle for the planet Earth. On this front, there is very serious brinkmanship going on between the U.S. and China in the run-up to the start of the Chinese Gold/Oil/Yuan (GOY) trading that is rightly being seen as a threat to the petrodollar and U.S. hegemony. The U.S. reaction was to impose tariffs on $60 billion worth of Chinese imports and hire warmongering radical neocon John Bolton as National Security Adviser to U.S. President Donald Trump. The U.S. message to China was clearly, “We will stop buying your stuff, cut off your Middle-East oil supply, and use North Korea as an excuse to start war.” The Chinese reaction, in contrast, was to seek compromise and peaceful negotiation while reminding the U.S. side that it was fully prepared for any eventuality. Despite the U.S. bluster, a quick look at the cards each side is holding makes it obvious China is likely to emerge as a pyrrhic victor in any trade war. This can be seen by taking things to an extreme and imagining the U.S. stopping all trade with China, and China dumping all of its U.S. Treasury holdings. Americans would see an immediate plunge in their living standards as they would lose access to cheap Chinese goods, while a plunging dollar would make imports from the rest of the world more expensive. Also, it would take many years for the Americans to build factories to replace the goods it is used to getting from China, and the end result would be far more expensive. China, for its part, would lose access to U.S. soybeans and grains, but would be able to replace these with supplies from sources like Russia and Brazil. The loss of U.S. dollars earned through its trade surplus with America would also deprive China of a lot of the hard currency it has been using to enhance its power around the world. 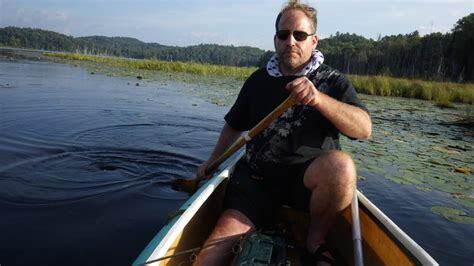 However, it is likely that China has set up the GOY trading in part to have a ready substitute for the petrodollars it would lose in a trade war with the U.S.
On the surface, thus it appears the Rothschilds and their Khazarian brethren were right to side with China against the U.S. However, if you analyze things on a deeper level, a very different picture emerges. In this one, the Rothschilds and their fellow Khazarian mafiosi face a catastrophic defeat. “March madness began on March 23 as Trump ‘reluctantly’ signed the $1.3 trillion omnibus spending bill to fund the military so they can drain the swamp with covert and overt operations across the globe,” the Pentagon sources say. The six-month omnibus bill gives Trump carte blanche so he can “fund any agency or program, or defund bad ones like the CIA or aid for Israel,” the sources explain. “The 2,232-page omnibus spending bill, which nobody reads, actually provides tons of money for witnesses, GITMO, Diego Garcia, and it empowers and funds the Inspector General across the government to expose crimes of the cabal,” they say. In addition, the “DOJ Inspector General report of 1.2M pages will reveal massive pedophilia, murder, extortion, corruption, treason, and sedition as Trump seeks the death penalty for drug traffickers like in Singapore,” the sources continue. If anybody still has doubts that a purge has already begun at the highest levels, they should stop and think about the resignation of “pope maledict,” the abdication of a whole series of monarchs including the Emperor of Japan, the retirement of scores of U.S. senators and members of Congress, and the disappearance of people like George Soros and Bill Gates, etc. Now there is a very visible attack taking place against Khazarian mafia control of Internet giants like Facebook and Google. On this front, Pentagon sources say David Rockefeller grandson Mark Zuckerberg (Greenberg) “is going down for spying and insider trading just as Steve Wynn (Weinberg) was forced, finally, to sell all his shares.” It should be noted that Wynn, the former finance chair of the Republican Party, owned the hotels used in the mass murder event and attempted assassination of Donald Trump in Las Vegas last October. The purge in Europe is also continuing, with former French President Nicholas Sarkozy being formally charged last week with receiving illegal campaign financing from Libya. Also, French Rothschild-slave President Emmanuel Macron is facing mass strikes and protests over his attempts to cut the wages of French workers in order to make his oligarch masters richer. In Italy, meanwhile, the anti-establishment Northern League and Five Star Movement parties are close to forming a government that is certain to challenge the fascist EU and its Euro currency. The Khazarian mafia, of course, have still not given up in their fanatical attempt to start World War 3. In the past week they have been caught yet again fabricating poison gas attacks in Syria and the UK in an attempt to start war with Russia. Also CIA sources are also saying a Khazarian mafia plan to replace Trump with Vice-President Mike Pence is doomed to fail because Pence is one of the people who is going to be arrested on pedophilia charges. In any case, WDS sources say Bolton will serve a useful role to threaten war against Iran, and thus a cut-off of Middle-Eastern oil, as a card in negotiations with Asia over the new financial system. Russian WDS members, for their part, note that Russia, along with its Turkish, Egyptian, and Iranian allies, holds a veto over any Western plan to cut off Middle-Eastern oil. The Russians want world peace and friendly, law-based relations between nations, the sources say. They will not fully trust the West until the warmongering Khazarians behind the fake gas attacks, etc. are all removed from power, they say. 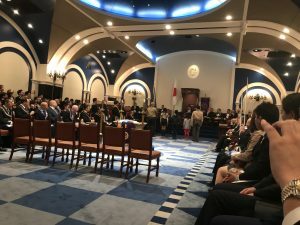 On a final note, this writer was invited to a ceremony at the Japan Freemason headquarters near Tokyo Tower last week. This is the first time he has ever participated in such an event. The Freemasons invited him as a part of their new campaign to dispel misunderstandings about them by opening their doors to the public at large. What this writer saw was a fairly innocuous ceremony. Below is a photograph of that event. Generally speaking, the Freemasons have had a big impact on Western history because influential people got to meet and know each other at their lodges. For those who want to know more, the 97-minute video at the link below is a fairly good overview of what the Freemasons are all about. As far as this writer is concerned, it is mostly accurate except for the bit where they claim the Illuminati does not exist. The Illuminati are real and are divided into the Gnostic Illuminati, who are against bloodline rule, and the P2 Lodge Illuminati, who want a world government controlled by ancient Roman bloodlines. In any case, it looks like the Freemasons support White Dragon Society and Asian Secret Society goals of world peace and friendship between peoples.